Michael J. Garanzini, S.J. is chancellor and former president of Loyola University Chicago, and serves as the Secretary of Higher Education for the Society of Jesus, responsible for animating and supporting the network of Jesuit institutions around the world. 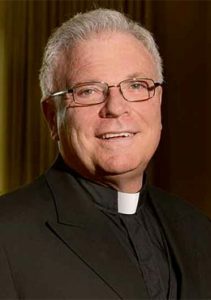 A seasoned university administrator, professor, author, and scholar, he has been a leader in Jesuit higher education for more than three decades. During his 15-year presidency in Loyola University Chicago, he was a member of the Board of Directors of the Association of Jesuit Colleges and Universities composed of 28 institutions. 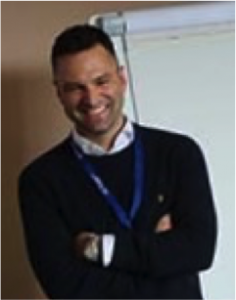 Andreas Carlgren works at the Newman Institute, the first Jesuit University College in Sweden, developing an educational program in social science, with focus of environment and justice. He is also the Vice Chair of Stockholm Environment Institute, at the Board of the Swedish Institute for the Marine Environment, and a senior advisor to the think tank Global Challenge. Mr Carlgren was the Minister of Environment of Sweden, 2006-2011. Global warming was a main issue during his term. He facilitated the negotiations at the UN-conference 2008 in Poland; leading to the operational start of the Adaptation Fund, and 2010 in Mexico to agree on keeping global temperature rise below 2 degrees Celsius. At the 2009 UN-conference in Copenhagen he was leading the EU environment ministers. He was one of the key ministers in the UN-negotiations on Biodiversity 2010 in Japan, resulting in the Nagoya Protocol on Genetic Resources. Mr. Carlgren, once a teacher by profession after studies at the Stockholm University, has also been a Municipal Commissioner, Member of the Swedish Parliament – where he was as a member of the Committee on Education – as well as Director General of the Swedish Integration Board. 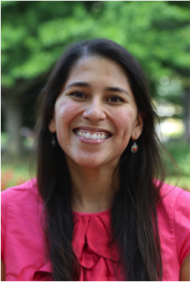 Cecilia Calvo is the Senior Advisor on Environmental Justice of the Office of Justice and Ecology of the Jesuit Conference of Canada and the United States. In this new role, Calvo leads the environmental justice efforts of the Jesuit Conference, collaborating with province social ministry offices, Jesuit institutions and Jesuit-affiliated works abroad. Calvo is an expert on environmental issues, including climate change, children’s health and natural resource policy, and has worked domestically and internationally to help respond to these challenges. Previously, Calvo worked at the United States Conference of Catholic Bishops (USCCB), where she played a key role in the promotion of Pope Francis’ encyclical Laudato Si’ to furthe dialogue, understanding and reflection on ways to live out this landmark papal teaching. 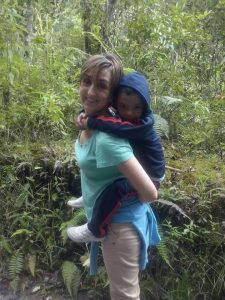 Her prior experience also includes research and analysis of environmental and natural resource issues in Latin America; work in the field of mediation and conflict resolution; and management of environmental programs at Target Corporation. Calvo holds a master’s degree in law and diplomacy with a concentration in international environment and resource policy from The Fletcher School of Law and Diplomacy at Tufts University and a bachelor’s degree in environmental science and Spanish from Wellesley College. Rev. John M. Braverman, S.J., is a Jesuit of the Maryland Province of the Society of Jesus. He majored in biology at Princeton University. His doctorate in Population Biology is from the University of California in Davis, California. 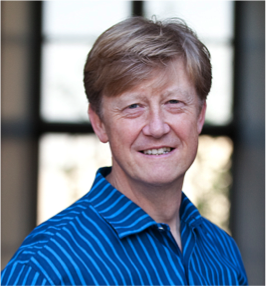 John completed a Master of Divinity degree at the Jesuit School of Theology in Berkeley, California. 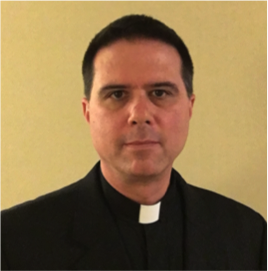 He was ordained to the Catholic priesthood in 2009. He later completed the Licentiate in Sacred Theology (the S.T.L.). In 2010, John joined the Department of Biology at Saint Joseph’s University in Philadelphia, PA, where he is now an Associate Professor. John’s research is in evolutionary biology. He teaches genetics, bioinformatics, evolutionary biology, and a course entitled, “God and Evolution.” For fun and spiritual refreshment, John observes and photographs wildlife, especially birds. Pedro works in sustainable environment and community land management in Southeast Asia, with mainly local communities, universities, international organizations and governments. Pedro practices a people-focused approach to capacity building and seeks to promote more lasting partnerships through research, consultation, and policy building to support local populations and governments. 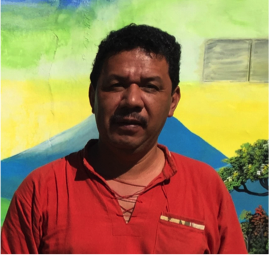 Pedro is the Coordinator for Reconciliation with Creation of the Jesuit Conference Asia Pacific, moving an ecological agenda and exploring collaboration. Recently, Pedro has taken up the work of global coordination for GIAN Ecology, now called Ecojesuit. Concurrent to these two assignments, Pedro is the Director for Research of the Environmental Science for Social Change, a Jesuit research institute in the Philippines that promotes environmental sustainability and social justice through the integration of scientific methodologies and social processes. He seeks to communicate the real causes of landslides and flooding as they occur in different areas of the Philippines, site assessments of relocation areas and housing for disaster through exploring broader collaboration with various stakeholders. His doctorate is in land use change from King’s College, London, UK. He teaches a course on integrating human development in natural resource management for graduate students of the UN-mandated University for Peace and the Ateneo de Manila University. Pedro also directs the Apu Palamguwan Cultural Education Center, an upland basic education program and technical training for indigenous children in northern Mindanao that has its own culture-based curriculum and promotes multi-language education and the use of the mother tongue. Pedro continues to live with the Pulangiyen, an upland indigenous community in Mindanao. Alicia’s professional life has been devoted to international aid, social justice issues and the plight of resource-rich territories. For more than 10 years, she has been involved in multiple projects combining research, advocacy and communication, mainly in Latin America, Eastern India and the Great Lakes Regions in Africa. Alicia combines her work as a researcher and networking officer in ALBOAN Foundation with her doctoral studies at the University of Deusto. She holds a BA in Political Science, a graduate certification in Public International Law and International Relations from the University of the Basque Country, and an MsC in Natural Resources and Conservation Sciences from the University of Idaho. She has worked both for governmental and non-governmental international organizations, particularly in resource-rich contexts, such as Cajamarca (Perú), where she first engaged in transparency issues. Since 2008, she has been involved in developing a global advocacy network uniting Jesuit organizations all over the world working for better governance of natural and mineral resources. Alicia is a member of the Justice in Mining Network. Alicia enjoys working with colleagues from different cultural and linguistic backgrounds, and appreciates diversity in all its ecological, social and cultural dimensions, including the plight of indigenous populations and endangered languages and species. She firmly believes in the endless possibilities of joining hands to produce civic energy for the betterment of democracy and social justice. Change starts from within. Dr. Felix Prinz zu Löwenstein is a German agricultural scientist and farmer. After Jesuitenkolleg St. Blasien, he studied at the Faculty of Agriculture of the Technical University of Munich in Weihenstephan where he graduated with a doctorate in 1982. After a three-year development aid activity in Haiti , he took over the parental agricultural and forestry enterprise and converted the farm in South Hesse, which has been owned by the family for 500 years, to bioproduction. 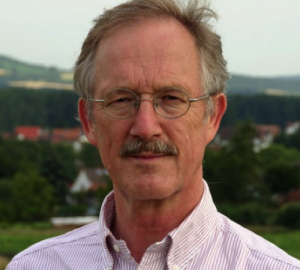 Dr. Löwenstein holds various honorary offices in organizations of organic farming: Chairman of the Board of the Federal Ecological Food Industry (BÖLW) and Board Member of the Research Institute for Organic Agriculture (FiBL Germany). In 2011, he published his book Food Crash , which was described by Deutschlandradio Kultur as an “impressive and convincing plea for ecological agriculture” and the spectrum of science as a “plea for a more sustainable and equitable agricultural system”. In 2016, he was awarded the Bundesverdienstkreuz in the Federal Republic of Germany for his versatile commitment to organic agriculture. 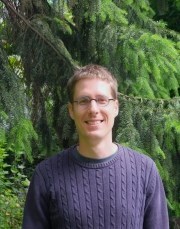 François is the Climate & Agriculture and Food Sovereignty Officer at CIDSE. CIDSE is an international family of 18 Catholic social justice organisations working together with others to promote justice, harness the power of global solidarity and create transformational change to end poverty and inequalities. We do this by challenging systemic injustice and inequity as well as destruction of nature. We believe in a world where every human being has a right to live in dignity. CIDSE works in the following policy areas: corporate regulation, natural resource governance, food and energy issues that impact on human rights and the environment, sustainable lifestyles, gender equality, the intersections between finance issues and these policy areas, Israel and Palestine. Ghislain Tshikendwa Matadi is a Jesuit from the Democratic Republic of Congo (DR Congo). He studied rural development in his country, Theology in Rome, Italy, and Berkeley, USA. He holds a Ph.D. in Sociology from the Gregorian University of Rome since December 2014. 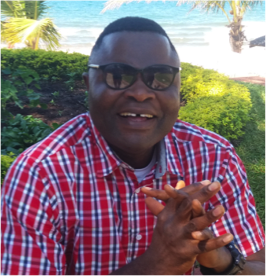 While being Dean of the Faculty of Agricultural and Veterinary Sciences and Coordinator of the Center for Research and Communication in Sustainable Development (CERED), Father Tshikendwa teaches sociology at the Catholic University of Congo. One of the principal books is: Suffering, Belief, Hope. The Wisdom of Job for an AIDS-stricken Africa (Nairobi, Paulines Publications Africa). This book is available in German: Ringen mit Gott in Zeiten von AIDS. Afrikanische Einsichten zum Buch Hiob (Freiburg, Herder). Major challenges include helping young people to create their own jobs in the field of agriculture and livestock from the Mongata Agro-Ecological Training Center in rural areas (165 km from Kinshasa). He wants to help the development of agriculture in a country generously endowed but where people are dying from hunger. Nancy Tuchman is the Founding Dean of the Institute of Environmental Sustainability (IES) in Loyola University Chicago, where she has served for more than 25 years. Prior to being appointed Dean of IES, Dr. Tuchman served as a Professor of Aquatic Ecology in the Department of Biology; as Program Officer in the Ecosystem Studies Program at the National Science Foundation in Washington D.C. (2002–2003); as Associate Provost for Research (2004–08); and as Vice Provost (2010-13). She also founded and directed the Center for Urban Environmental Research and Policy (CUERP) in 2005. Nancy’s vision for IES is to raise public awareness of the unsustainable consumption of our Earth’s natural resources with the goal of transforming behavior, developing policy, and inspiring and preparing next generation science-based environmental leaders. To that end, IES engages students, faculty, staff, and administrators in activities designed to lower our campus consumption of energy and natural resources, and reduce our waste production. 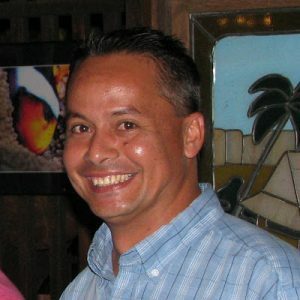 Pedro Landa, Honduran, 52 years. Historian, Philosopher, Theologian. Researcher and defender of human and environmental rights. For 20 years he has worked in Latin America exposing the corruption, impunity and violence of the extractivist model. 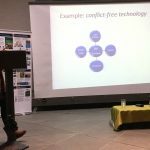 He has published research on the impacts of mining on states, communities and human rights defenders. Since 2006, he has worked to investiage Canadian mining operations and expose violations. He has denounced to the Inter-American Commission on Human Rights the impacts of mining in Honduras and Latin America, and the lack of effective mechanisms to force companies to assume greater responsibility. He has served as judge and witness in ethical environmental tribunals in Colombia, Peru, Canada, Brazil, Guatemala, Costa Rica and Honduras. Pedro is a Member of the Jesuit Justice and Mining Network, Coordinating Member of the Latin American network Iglesias y Minería, Coordinator of the Jesuit Network for Human Rights and Justice Environmental partner in Latin America and coordinator of environmental and human rights campaigns at ERIC Honduras, accompanying communities in defense of the common home. Rigobert Minani Bihuzo SJ is a Congolese Jesuit born on 13 Oct 1960 in Bukavu, DRC. He is the Africa Social Apostolate Coordinator and Director of the Jesuit African Social Centers Network (JASCNET)since 2011. 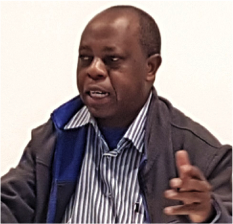 A human rights and peace standing activist in DR Congo, he is a co-founder of Groupe Jeremie (a Human Rights Group) and the founder of (RODHECIC ) a network of 80 faith based human rights organizations) in DRC. He has worked for 10 years as the head of research, peace, human rights, democracy and good governance department at the Centre d’Etude Pour l’Action Sociale (CEPAS, DRC). He has earned two international awards: “Change Maker award 2005” (DIAKONIA, Stockholm) and “Young Leaders Sasakawa prize 2007” (Tokyo, 2008). Currently he is the team leader of the Ecclesial Network of the Congo Basin forest (REBAC). He holds an Advanced Degree (DES) in Political Science (Palermo) and an MA in Theology (Montreal) and two bachelor degrees, BA Theology and Human Sciences (Catholic University of Kinshasa) and BA Philosophy (St. Pierre Canisius in Kinshasa). He is writing his PHD in political sciences at the Catholic Institute of Paris, (ICP), Department of Social Sciences. 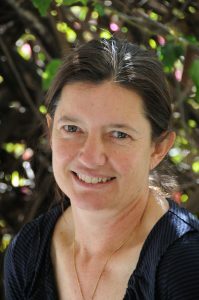 Sylvia Miclat is currently the Executive Director of the Institute of Environmental Science for Social Change (ESSC), a Jesuit environmental research organization that promotes environmental sustainability and social justice through integrating scientific methodologies and social processes, networking across the Asia Pacific region in moving an agenda of science for sustainability. 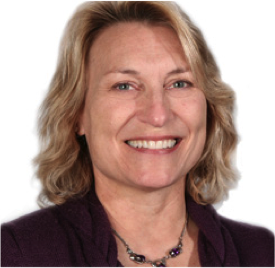 She has been with ESSC since 1998 and previously held positions in planning and programs management. She has been contributing to Ecojesuit Online as editor of the English version since it started in 2010. Sylvia’s work involves overall responsibility in the implementation of ESSC’s research agenda in forest cover analysis, assisted natural regeneration, watershed and land use, animal feeds production and impact, ancestral domain management and processes, culture-based education, indigenous teacher training, learning for life youth program, forest and water resoure management and training, teaching of science and values as an integral response, disaster risk and vulnerability reduction, and the Pulang peace process. Sylvia has a degree in development communication from the University of the Philippines in Los Baños (UPLB) and further graduate studies in development management. 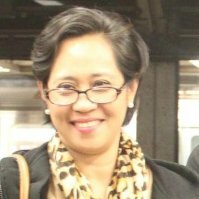 Prior to her work with ESSC, she previously worked as editor and writer and study grants coordinator at the UPLB Office of the Vice Chancellor for Academic Affairs, as Press Officer at the Presidential Committee on Human Rights, as a researcher at Trends Research and Analysis, Inc, as a member of the development communication group of the Philippine Rural Reconstruction Movement, and as project officer with the Netherlands Organization for International Development Cooperation. Willy has served as the Executive Director of Micronesia Conservation Trust (MCT) since 2006. In addition to his executive duties, he also serves as the Co-coordinator of the Pacific Islands MPA Community, an initiative funded by the National Oceanic and Atmospheric Administration. Prior to joining MCT Management he served as one of the founding members of the MCT Board of Directors, holding the offices of Chairman and Vice-Chairman. During that time, he served as the founding Executive Director of the Conservation Society of Pohnpei, building the organization from the ground in 1998 into the leading conservation NGO in the FSM at the time of his departure. He earned an AA from Santa Rosa Junior College in 1990 and has attended numerous training courses and professional enhancement programs since. Notably, he was named a fellow by the Pew Foundation for Ocean Science in 2005 and has been active in the development and promotion of the Micronesia Challenge. He is active in community organizations and Boards including the Micronesians in Conservation, President’s Council on Sustainable Development, Pohnpei Resource Management Committee, and the Xavier High School Board. His other professional experience includes work as an elementary school teacher, various positions in the state government as an accountant and administrator and work in the private sector managing family business ventures. 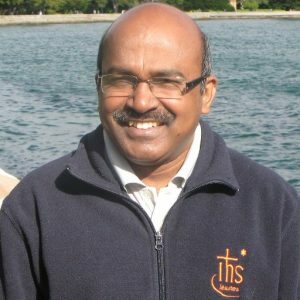 Dr. Xavier Savarimuthu, SJ, is a Jesuit priest and the director of department of Environmental studies at a premier Jesuit higher education institute, St. Xavier’s College, Kolkata, West Bengal, India. He teaches and guides research scholars in the departments of environmental studies and microbiology with a Ph.D. on arsenic poisoning and its health impacts on the affected population in West Bengal. He is involved in a dug-well program in India to provide arsenic-safe water to the poor villagers in the arsenic affected blocks in North 24 Parganas district. He has presented and published valuable papers on his work in arsenic both in India and abroad. His latest article in is on “The Earth we want requires reconciliation with creation” has been published (Promotio Iustitiae) in four languages, namely, French, Spanish, Italian and English. 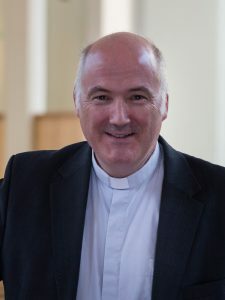 He has been appointed by the Jesuit Social and Ecology Secretariat, Rome, as the convenor for ecological Mission (Ecojesuit Network) in the Jesuit Conference of South Asia (JCSA). 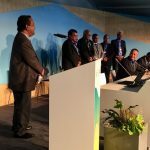 He has attended the world water week in Stockholm, Sweden, Ecological Conference in Manila, Philippines, and attended December 2015 Climate Summit in Paris. In 2011, he conducted courses on “Environment and Public health in South Asia” at Santa Clara University, California. He was appointed as Donald McLean Chair during 2015 in Saint Joseph’s University, Philadelphia, Pennsylvania. Fr. Xavier’s presentations with humorous anecdotes, thought-provoking videos and latest research data won him laurels from the students and research communities. He has been a convener for organising four world class conferences under the flagship of “St. Xavier’s Global Earth Summit”. He has indeed ignited the young minds in the field of environmental education, making them ecologically conscious citizens. Klaus Vathröder S.J. 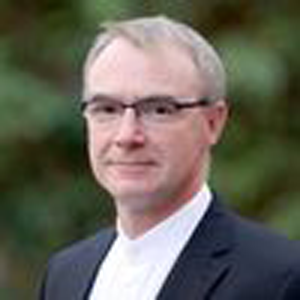 is the director of Jesuit Mission Germany and coordinator of Xavier Network, the network of all Jesuit Mission Offices and Jesuit Development NGOs in Europe, Canada and Australia. He holds a master’s degree in Theory of Economics and Political Economics from the Catholic University Andrés Bello (UCAB) in Caracas, Venezuela where he lived for 12 years. He was director of Centro Gumilla, the Jesuit Centre for Social Analysis and Social Action in Caracas. He taught international economics at the UCAB and organized urbanization projects in slum areas of Caracas, especially with the inclusion of the affected population. He brings vast experiences in areas such as international project management and international trade issues. 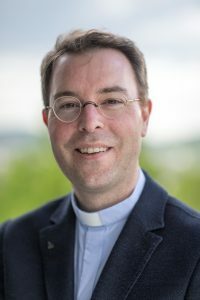 Martin Löwenstein is the new rector of the Aloisiuskolleg, a state-recognised co-educational Gymnasium, run by the Society of Jesus; it currently has around 720 pupils. The boarding section offers places for about 60-80 boys and girls. 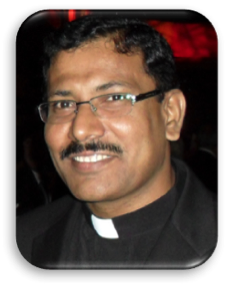 Xavier Jeyaraj is the Secretary of the Social Justice and Ecology Secretariat (SJES) of the Society of Jesus in Rome, Italy since June 2017. He submitted his doctoral research in the field of Social Work on a people’s movement against coalmines in India in May 2017. Before assuming this new role as Secretary of SJES, he was the Assistant Secretary of SJES for 3 years (2012-2014); Coordinator of Social Apostolate of Society of Jesus in South Asia for 5 years (2007-2011); and the founder-director of Udayani Social Action Forum for 9 years (1997-2006). He also coordinated a networking forum called “South Asian Peoples’ Initiatives” which is now called “Lok Manch” a networking forum of around 100 NGOs and CBOs and in India. Christian Modemann teaches physics and religion in Aloisiuskolleg in Bonn and is in charge of the after-school care of the younger pupils. He responsible for the astronomy group of the college. 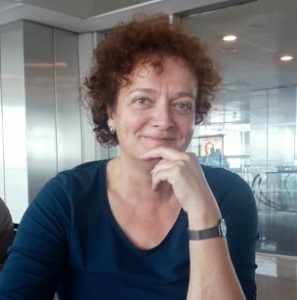 Dorothee is a senior teacher of English and German at the Aloisiuskolleg Bonn. She also leads AKOfair, a group founded in 2014 to take a closer look at the topic of justice and fairness in relation to everyday life. AKOfair works to create awareness among students and colleagues about sustainable consumption and promote ecologically, economically and socially responsible practices especially in the campus. Dorothee is the contact person for fair trade events at school. Henry Longbottom SJ is a British Jesuit currently working for the Jesuit European Social Centre (JESC) in Brussels. Prior to entering the Society of Jesus, he was an attorney at law for an international commercial law firm based in London specialising in energy projects, environmental and zoning regulation, and public law litigation. Developing his interest in environmental justice after joining the Jesuits, Henry has carried out pro bono work for Friends of the Earth UK and the London Mining Network, serving on the latter’s management committee between 2013-16. His current ministry includes assisting the European dimension of the Global Ignatian Advocacy Network initiative Ecojesuit, and teaching a course in climate change ethics and justice at the Newman Institute in Uppsala, Sweden. 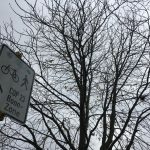 He is currently coordinating a three-day interdisciplinary symposium on “connecting ecologies” which will take place at Campion Hall, Oxford in December. He is a regular contributor to the online journals europeinfos.eu and the Jesuit Post. He also writes a blog greenjesuit.org. A graduate of Oxford University, Henry has degrees in law, philosophy and theology. 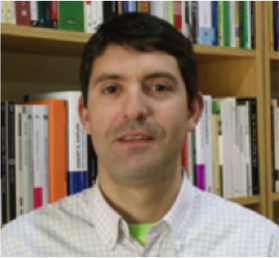 Jaime Tatay works at the Universidad Pontificia Comillas ICAI-ICADE, Madrid (Spain), developing an educational program in religion, environmental ethics and Catholic social teaching. He is also the director of “Razón y Fe”, a Spanish century-old Jesuit cultural magazine. Mr. Tatay holds a masters degree in forestry and a doctorate in theology. He has also been a member of the Ecojesuit initiative for the last five years. Rowena Soriaga has been working with natural resource management and rural development concerns over the past 23 years, mainly through the Environmental Science for Social Change (ESSC) and Asia Forest Network (AFN). 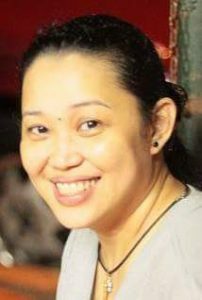 She currently serves as ESSC Program Development Specialist and AFN Adviser while contributing to two projects: (i) as PES/REDD+ specialist for Generating Advancement for Upland Peoples (GAUP) and (ii) as task force secretariat for ECOJESUIT@UNFCCC COP23. She also provides consulting services to several government, civil society and multilateral institutions mainly covering Southeast Asia. Rowena has a Master in Development Management degree from the Asian Institute of Management. Since 2009, Sue has been the part-time Sustainability Centre coordinator at St Ignatius’ Riverview, working to implement the School Environmental Management Plan and assist Jesuit schools across Australia as they care for our common home. The Reconciliation with Creation network of sustainability coordinators in Australian schools is working on many shared projects. In 2015, Jesuit schools in Australia undertook a sustainability culture survey across the whole school community, with AWAKE. The Australian Province also has a cross-ministry ecology taskforce looking to implement Laudato Si’ and in 2017 undertook an ecology survey that will inform future work. Divestment has been a focus in 2017 but Healing Earth will be a future focus. Sue works in her local Diocese of Parramatta on ecology and social justice projects, and with the local community on catchment issues. Sue was fortunate in 2011 to become a Climate Reality Leader being trained by Al Gore in Jakarta. Sue is passionately involved in supporting environmental educators in NSW, Riverview that recently hosted the 2017 NSW Environmental Educators Conference: Make the Change, a chance to link, learn and share together.